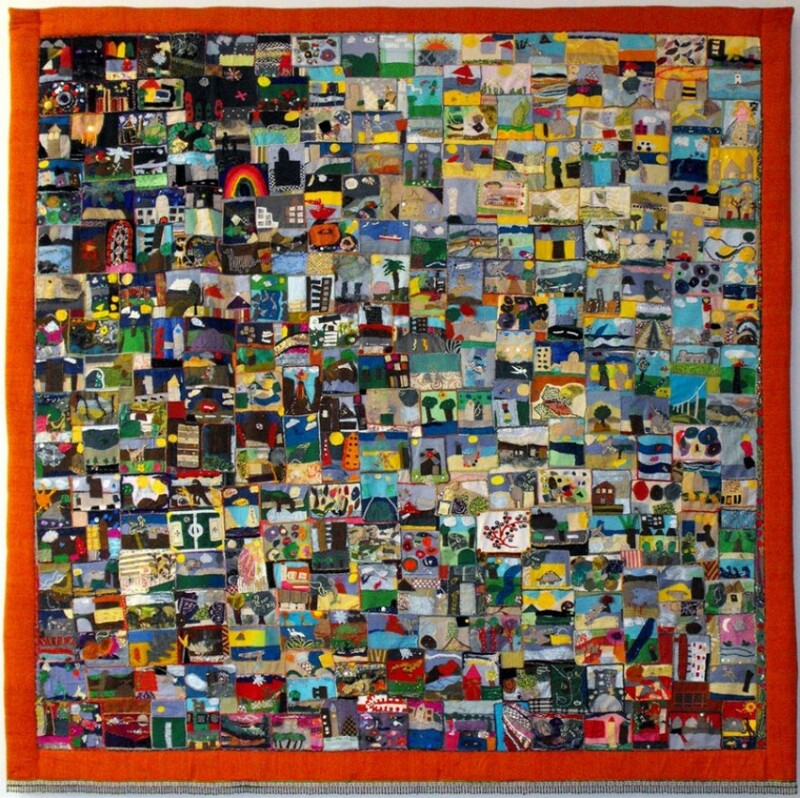 4x4m ‘Landscapes’ Patchwork Quilt I made for and in collaboration with St Thomas’ Primary CE School in North Kensington. 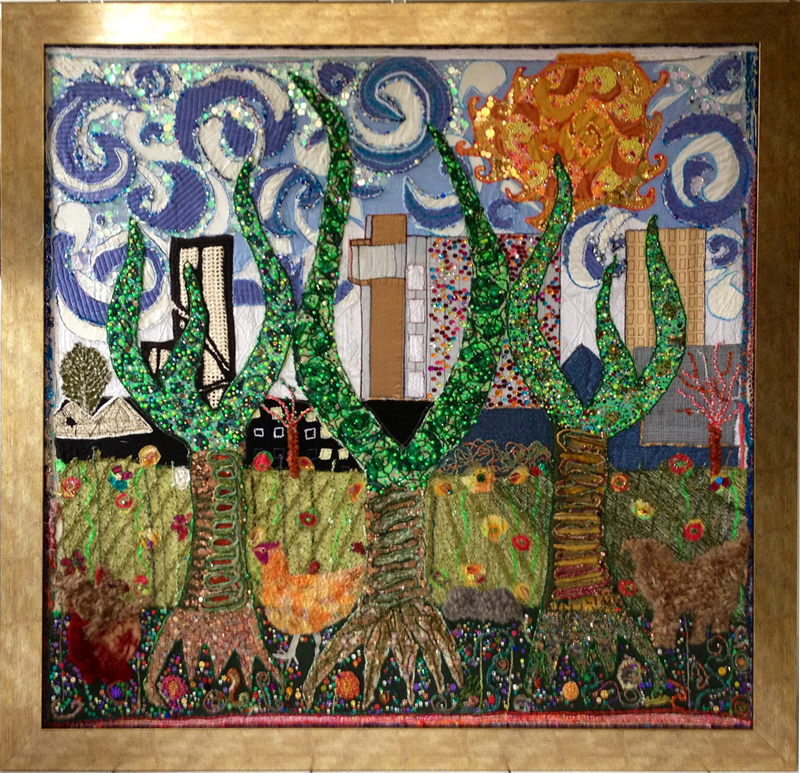 Students, parents, teachers and other community figures contributed to produce the 286 individual patches. It hangs in the school hall. ‘Grove’ is smaller at 135cmX135cm inspired by the creation of ‘Landscapes’ and St Thomas’ in Ladbroke Grove. It is entirely created by myself with references to the school logo and surrounding architecture (Trellick Tower). ‘Grove’ is for sale, inquiries welcome.